"He creates a dazzling zone of pleasure ..."
stone and textiles to the fore. 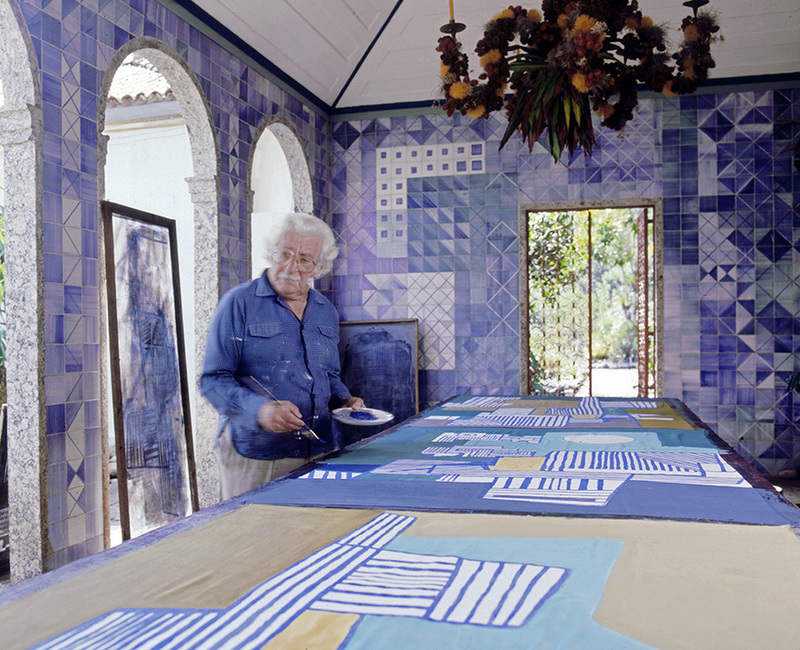 Roberto Burle Marx painting a tablecloth in the open-sided studio of his home, 1980s. 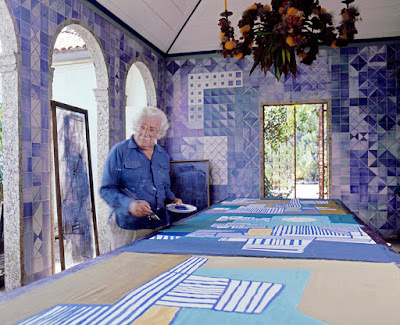 The azulejo tile walls and fruit-and-flower chandelier are also his work. 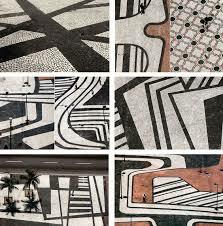 Though Marx utilized a wide variety of media -- painting and sculpture, textiles, jewelry, costume and set design, ceramics and stained glass -- it was for his spectacular undulating seaside pavements on Rio de Janeiro’s Copacabana Beach that he has always been best known, and remains influential to a whole new generation of international artists. 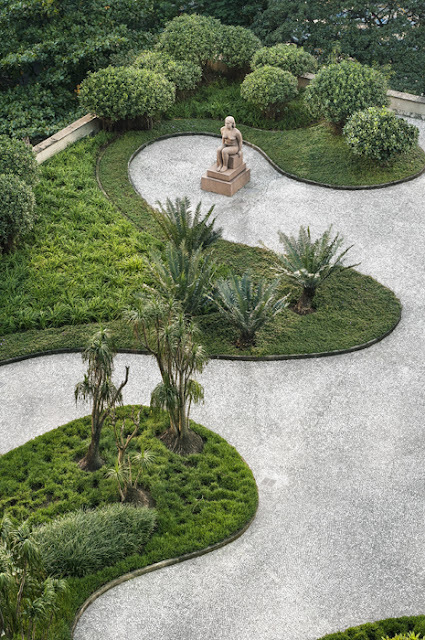 According to a curator's note, "He was also an avid art collector, a talented baritone, a consummate cook, and a visionary self-taught botanist and ecologist. For him, all these endeavors were equally important, facets of one another." 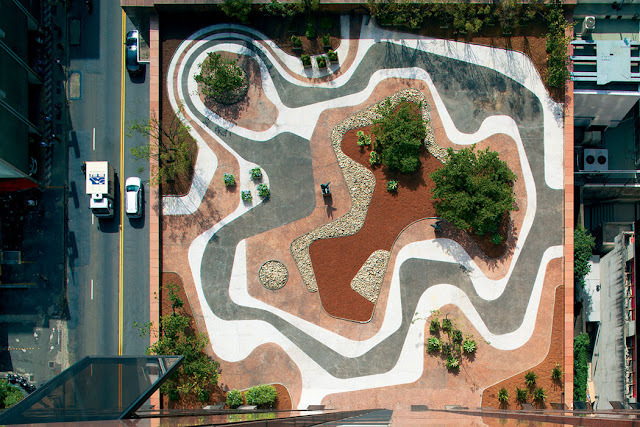 Mineral roof garden, Banco Safra headquarters, São Paulo, 1983. Garden of Eden and recreate the essential bond between humanity and nature. Rio de Janeiro, 1938. Gouache on paper. 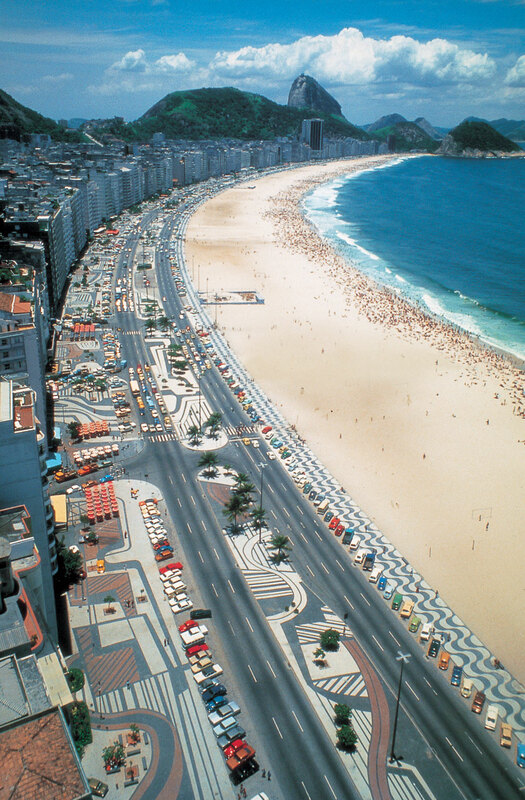 Marx embraced modernism in the early 1930s, as the movement was sweeping Brazil. 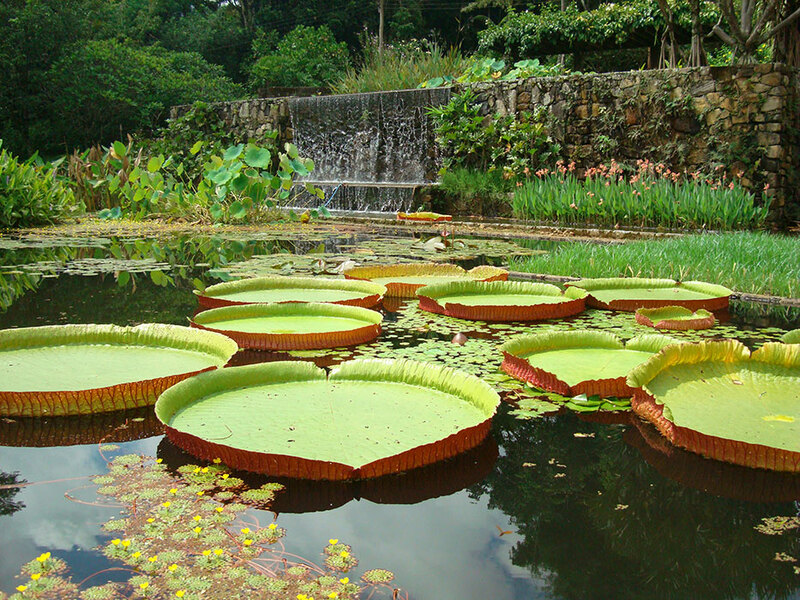 worldwide and discovered nearly 50 plant species. 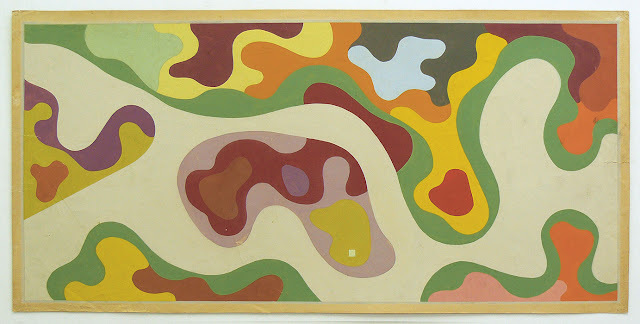 a volume or an arabesque in itself." 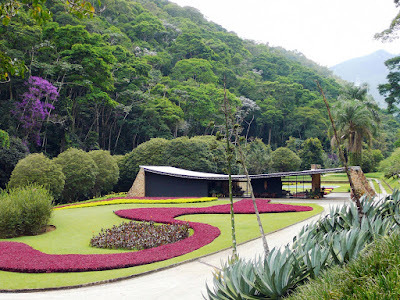 "Indiscriminate planting makes a salad"
Garden of the Fazenda Vargem Grande, Gomes residence, Areias, 1979. © Burle Marx Landscape Studio, Rio de Janeiro. Museu de Arte do Rio in Rio de Janeiro, Brazil (November 2017 - March 2018).